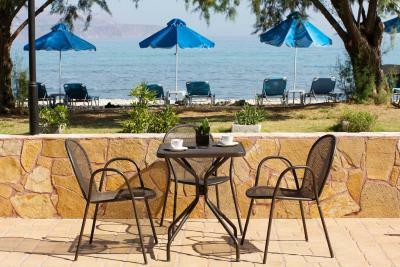 Lock in a great price for Almyrida Resort – rated 8.9 by recent guests! 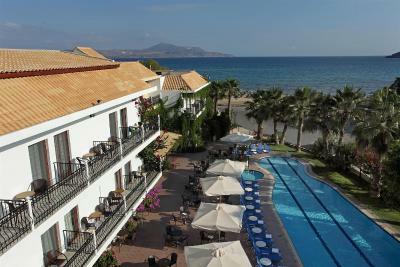 The staff were very friendly and the pool on the top floor, although not heated , was very nice. Location is perfect in a very family friendly resort. 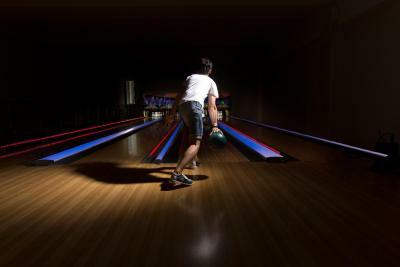 Good staff, very attractive roof top bar, nice little extras like bowling. 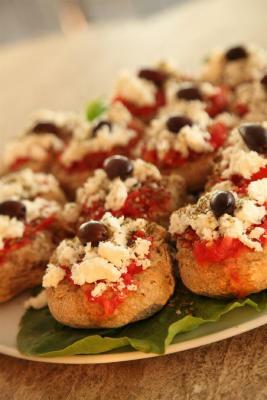 The food in the area was beyond our expectations, go to Plaka up the hill for great restaurants. 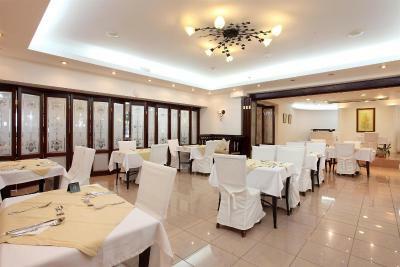 The staff is very friendly, always ready to help. 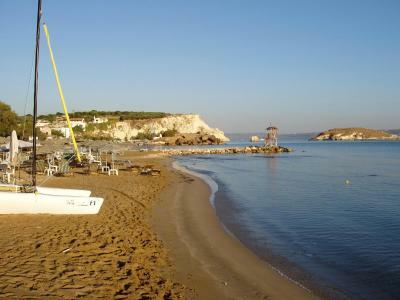 The location is perfect, near by the sea and local restaurants and shops. It's very quiet and peaceful. 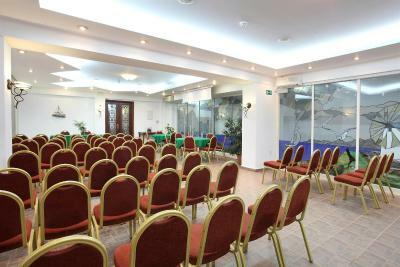 Large confortable room. Nice swimming pool. We've staied for 7 days and the dinner never been the same, very tasty food. Fabulous location. 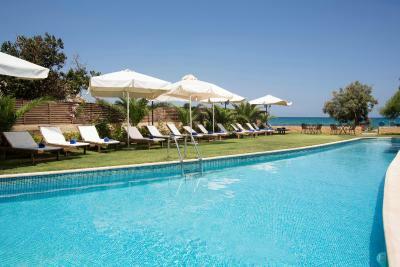 Just 100m from the beach but with a good choice of swimming pools too. Stayed here on a half board basis at half term in May with 2 teenagers. Kids say the Wi-Fi was good! 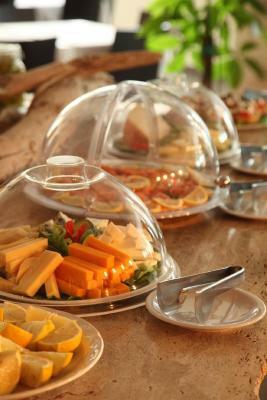 Food (buffet style) was excellent with a really wide range of beautifully cooked & well presented food. Free parking just outside on the road. 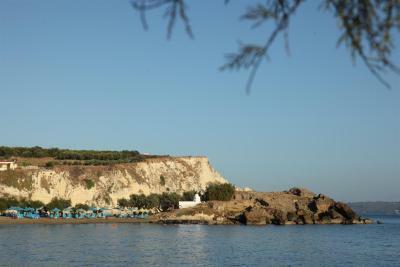 We flew into to Heraklion, hired a car & drove to the hotel (approx. 2 hours easy driving). Lovely spacious room & everywhere was so very clean. 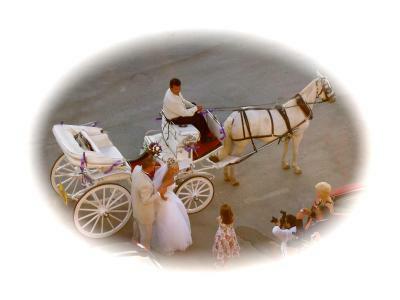 Staff could not have been more friendly, or helpful - nothing was too much trouble. Highly recommended hotel - & I rarely say that. 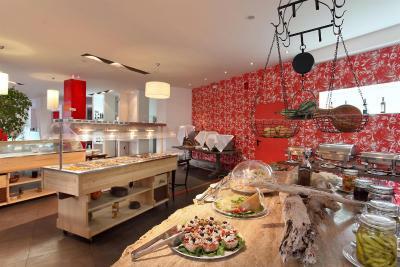 Nice area, good hotel with friendly staff and excellent breakfast and diner ! We had an excellent overnight stay in this hotel. We arrived late in the evening but were met and greeted an a lovely friendly manner. The room was excellent and a complimentary bottle of Rose was a welcome sight! Plenty of choice at breakfast. The staff were friendly and honest. 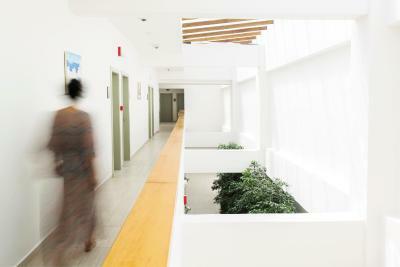 In particular the cleaners and the reception staff. The staff made us all feel very welcome. Thank you for a great stay. I have stayed in more luxurious hotels in the world. But none better!!!! This place is a jewel and the staff are the sparkle!!!!! Its the sort of place you will want to come back to over and over again. 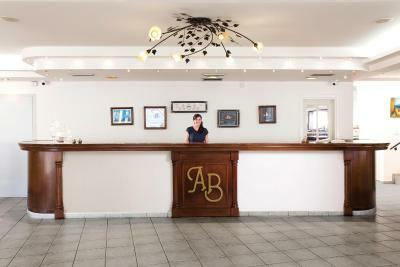 Almyrida Resort This rating is a reflection of how the property compares to the industry standard when it comes to price, facilities and services available. It's based on a self-evaluation by the property. Use this rating to help choose your stay! 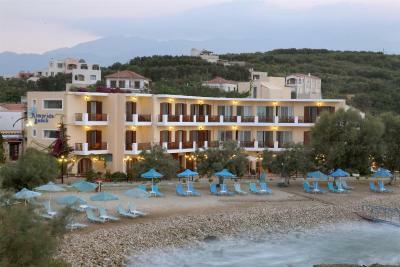 Centrally located in Almyrida Town and by the beach, Almyrida Resort features 3 outdoor pools, fitness center and spa. 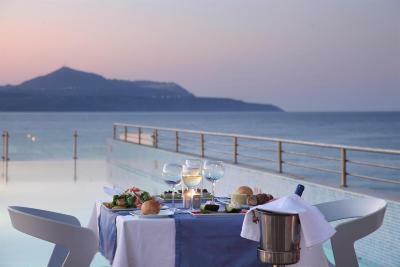 Its accommodations offers a balcony with side or full Cretan Sea views. 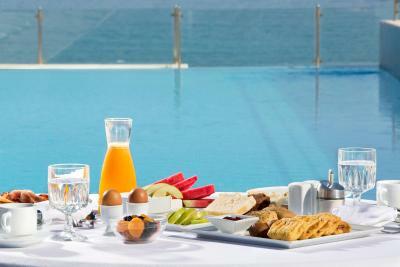 Certified Greek breakfast is served in the morning. Equipped with free Wi-Fi, the units come with air conditioning, flat-screen satellite TV, mini fridge and safety deposit box. Some include a spa bath, separate rooms, or DVD player. 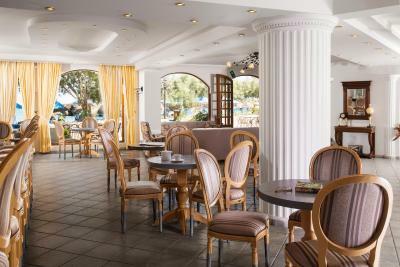 Greek breakfast at Almyrida Resort includes among others Cretan cheese, locally produced yogurt, traditional pancakes and cinammon cookies. 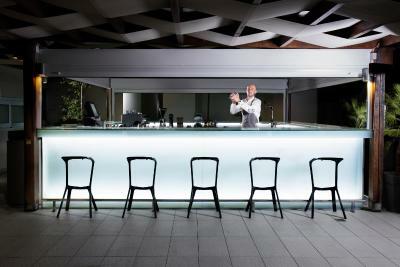 The on-site bar offers beverages, cocktails, ice creams and snacks. 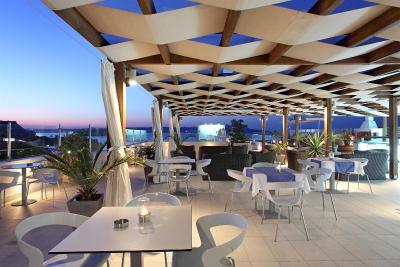 The à la carte Restaurant Thea serves Cretan and European gourmet cuisine on the rooftop garden. 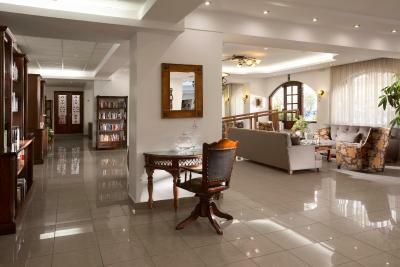 The facilities include bowling, billiards, a tour desk and a playground for the younger guests. 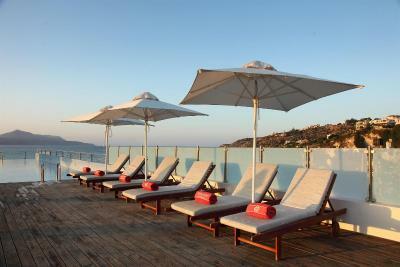 Sit back and relax on the sunbeds and under the umbrellas surrounding the pool. 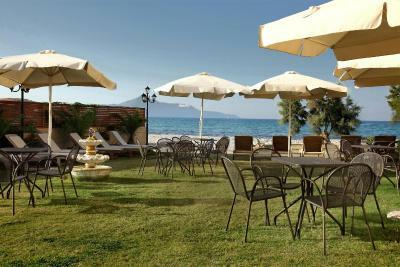 Various restaurants, cafés and a beach are close to the Almyrida. 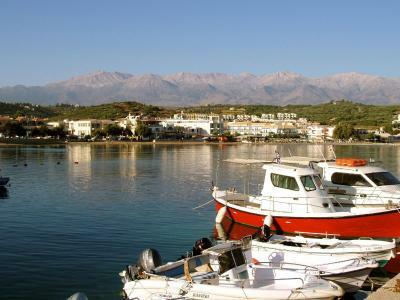 It is 16 mi from Chania city and 19 mi from Chania Airport. 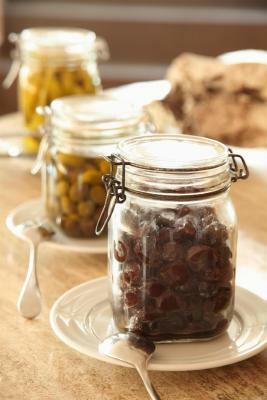 This is our guests' favorite part of Almyrida, according to independent reviews. 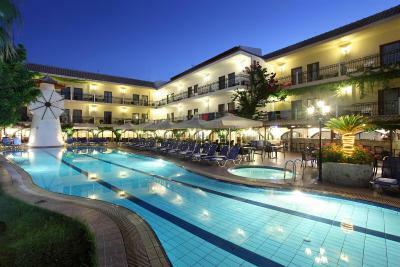 When would you like to stay at Almyrida Resort? 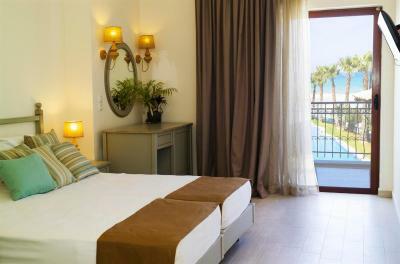 A quiet traditionally furnished room overlooking the mountains and the garden. 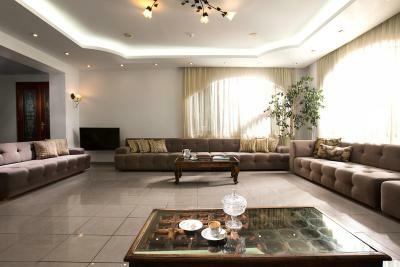 It includes air conditioning, a flat-screen TV, mini fridge and Wi-Fi access. 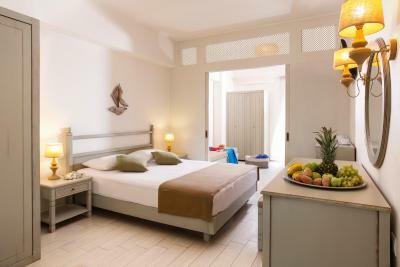 A spacious room with traditional furniture and full or side sea view. The room includes a flat-screen TV, mini fridge, air-conditioning, Wi-Fi and a sitting area. A spacious family room, with a wooden separation that offers some privacy. 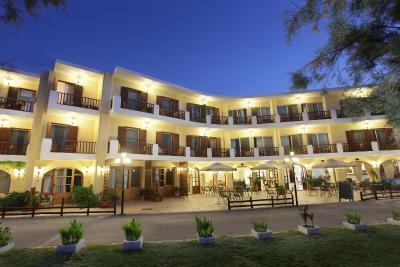 The room is air conditioned and features a flat-screen TV, mini fridge, a seating area and balcony with sea view. Free Wi-Fi is included. This studio is located in the sister hotel and offers more privacy. 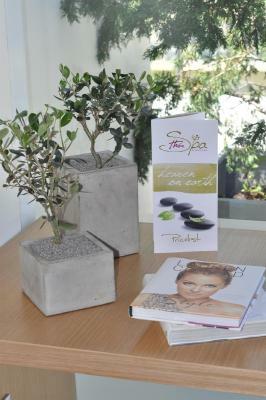 House Rules Almyrida Resort takes special requests – add in the next step! One child under 12 years is charged 10 % of the room stay per night in an extra bed. 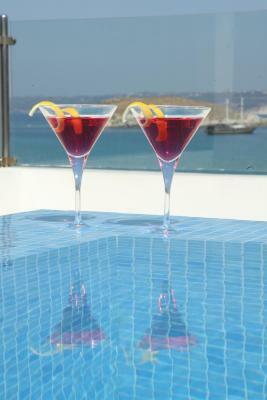 Almyrida Resort accepts these cards and reserves the right to temporarily hold an amount prior to arrival. We booked a room with a sea view at the hotel. On arrival we were offered a limited sea view at the Hotel or a sea view at apartments 100m away. We stayed at the Hotel because that's where we wanted to be - we feel we should have got what we booked in the first place, a sea view at the Hotel. Also we found out that we could share the facilities at the establishment across the road on the last day, but were not told at check in. Great location and good hotel. No Sauna probably on the other Hotel didn’t see it. 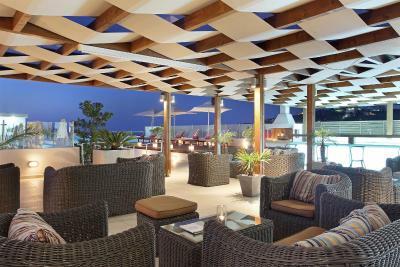 All the main facilities (larger swimming pool shown on photos, breakfast, roof top bar hotel) are located in the other properties located a few minutes walk away. Not that far, but not convenient. This is a pricy 3 stars hotel, not a 4 stars hotel. 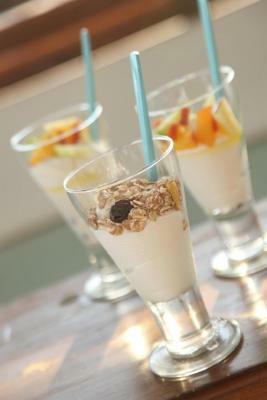 Breakfast was boring and overall the feeling of the hotel was kinda “eighties” - poor breakfast, older hotel. This hotel has 3 buildings and it you dont know in advance which one them you will be given. We were unfortunate enough to have heavy smokers in the neighbouring room who would sit smoking for hours on their balcony adjacent to ours. It made going onto our balcony rather unpleasant due to smoke. We told the hotel they should consider no smoking floors. 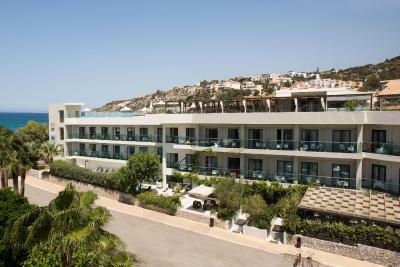 I expected a little more of the room, as you put on the website the rooms of Almyrida resort and the rooms for booking.com are in Almyrida beach.